Our client was driving south on Western Avenue and then turned right and westbound on Sepulveda. A Torrance police officer was driving northbound on Western Avenue at the time. The police officer continued northbound on Western, only to make a u-turn to follow our client, who the police officer claimed had expired registration tags. It seemed like an impossible observation to make, as it was 2:00 a.m., our client’s rear license plate was obscured by the front of the car from the officer’s vantage point and our client was moving away from the police officer as our client was turning. Moreover, the police officer claimed he was proceeding through the intersection on a green light, but that our client failed to stop before the limit line before making his turn onto westbound Sepulveda. This also did not make sense because our client would have had no obligation to stop at all if the light were green for the officer, as it would be green for our client. Once stopped, our client was administered a PAS (Preliminary Alcohol Screening) test, which measured his blood alcohol content (BAC) at 0.185% and 0.181%, or more than twice the legal limit. He provided a blood sample as well, which was measured at 0.21% BAC. 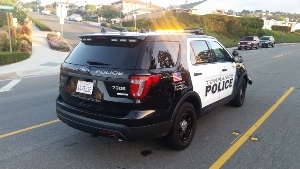 The officers noted that the car our client was driving did not have an Ignition Interlock Device (IID) installed, which was required for our client to drive due to his second DUI, as his prior DUI was less than a year earlier. Officers further noted that the vehicle registration was expired by one day. Without All the Details, What Happened: Third-time DUI in Torrance and probation violation from second DUI, client pleads in open to get 30-30 program and avoid 180 days in county jail. 10) Vehicle Code § 4000(a)(1) (“Driving an Unregistered Vehicle”). Greg Hill met with the Client who was quite worried about the 180 days of minimum county jail time that he faced for a third-time DUI. He had a steady job and he did not want to lose it. Greg focused in on the lack of probable cause for the traffic stop, as it was inconsistent for the police officer to claim our client had to stop at a red light before turning if the officer himself proceeded through the intersection on a green light. It was also simply incredible that a police officer could see, at night, while both cars were moving and one was turning, the expired vehicle license registration tags that measured just over one inch by one and a half inches in size. At the arraignment, the Torrance City Prosecutor noted the probation violation issues as well as the high BAC of our client and made an initial offer of 300 days in county jail, followed by 100 days of Cal-Trans and an 18 month DUI program, along with an $800 fine (plus penalties and assessments), payment of a $419 booking fee and attendance at an 8 hour HAM (hospital and morgue) program. Greg responded by filing a Motion to Suppress under Penal Code § 1538.5 to bring the court’s attention to the improper traffic stop and possibly dismissal of the case. The prosecutor read the motion to suppress and reduced the offer to 130 days in county jail, but with all other terms in place. Greg agreed, with the client’s consent, to take the motion off calendar if the prosecutor reduced the jail time to 30 days and allowed the client to substitute the 18 month DUI program with a 30 month program. Greg described the client’s major concerns with losing his job as the reason for the “30-30” proposal. The prosecutor would not agree to such an arrangement. So Greg filed a sentencing brief for the judge’s consideration to “plead in the open” and allow the judge to sentence our client. The sentencing brief included by reference the motion to suppress arguments along with multiple documents concerning our client’s many achievements in school and in the community, which were backed up with certificates and letters of appreciation. The judge read the sentencing brief and agreed to the 30-30 proposal, but required our client to speak at Carson High School to the students about DUI on three occasions. Our client was happy to do so, relieved that his job would not be lost because he could serve the 30 days in county jail in weekends at a private jail in two day intervals.